Macallan, one of the most luxury single malts, had a humble origins but hard work and an obsession with wood have made it one of the best whiskies in the world acclaimed by connoisseurs and aficionados. When Alexander passed out the distillery passed through a couple of hands until in 1868 James Stuart, a corn merchant in Rothes and owner of Mills of Rothes. James bought the distillery from the Earl of Seafield in 1886, rebuilt it on stone, as before was done in wood, and sold it to Roderick Kemp in 1892. 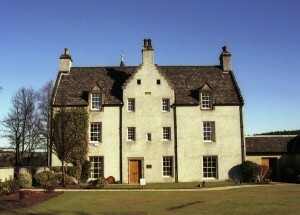 Roderick was the owner of Talisker up to 1892 when he fell out with his partner. So Roderick tried to buy Glenfiddich, Cardow and Mortlach without luck before he acquired Elchies distillery. One of his first jobs was to rename the distillery to Macallan-Glenlivet and improve a lot the quality of the new make. On his death in 1909, ownership passed into a family trust for Kemp’s descendants who managed the distillery until the present owner, Edrington Group, bought it in 1996. A new still house was built in 1954 with two mash, three spirit stills with shell-and-tube condensers. In 1965 more stills were added doubling production. 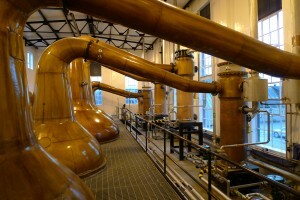 Stills were increased to 18 in 1974 and again increased to 21 in 1975. The second still house was closed in 1990 but has been recommissioned and resumed operations in September of 2008. In 1970, Macallan produced more than one million litres per year but 93% of its production went into blends. Just five years later there was a cut of blenders’ orders. This encouraged Macallan to mature it stock for bottling as a single malt. In 1996, Highland distilleries combined its shareholders with Suntory to mount an hostile takeover of the company. Macallan and the wood is a story of an obsession. 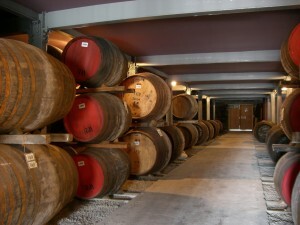 Macallan only matured it whiskies in european oak casks that have contained oloroso sherry. They even bought a bodega in Jerez -Gonzalez Byass- to have a good stock of butts and hogsheads. Unfortunately the price of the casks has been increasing as most bodegas at Jerez now uses american oak as it is cheaper. That is the main reason behind Macallan Fine Oak range that uses a triple cask combination of european sherry casks, american sherry casks and oak casks. Macallan use malt that is mainly from Simpson’s of Berwick-upon-Tweed and it produces is around 8 million litres per year.